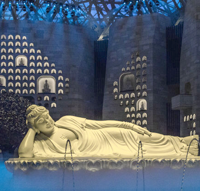 See the modern rebuilt Grand Bao'en Temple in Nanjing. In 2016 archeologists unearthed a crypt containing a piece of skull belonging to Siddhartha Gautama, known in China as Sakyamuni, better known as the original Buddha. How did it come to be under a temple in China? 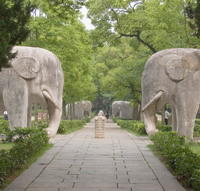 Visit Tiantai Mountain with a Daoist temple where you will get to learn/experience a very special Qi Gong longevity energy practice and eat traditional Daoist food. 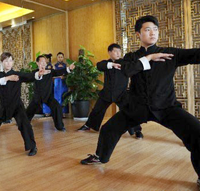 In Huangzhou, learn and practice Tai Chi at the Tai Chi Zen Center owned by Alibaba founder Jack Ma and martial arts movie star Jet Li. If we can gather a group quickly, you wonÕt miss out on there being a great package price--which means a great price for you!